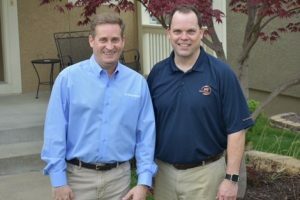 Founded in 2011, owners Mike Martin and Kent Friedeman made the decision to join the 911 Restoration team of Fresh Start service providers in 2016. Both owners have lived in the local community for more than 25 years, and have built a service-based business that is a leader in the areas of water mitigation, mold remediation, sewage cleanup, and reconstruction. Mike graduated from the University of Missouri-Columbia with a degree in accounting and for the next several years found himself working on the business/administrative side of two construction firms. At the age of 27, and with twin girls on the way, Mike could no longer ignore the entrepreneurial urges! With the support of his wife Kim, he bought a LaMar’s Donuts franchise, quit his job, and crossed his fingers that he had made the right decision. 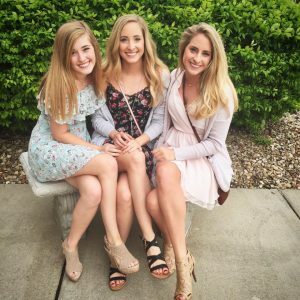 The business grew from one unit in Olathe, KS to multiple retail outlets. Due to market demand, Mike ultimately transitioned to a wholesale operation which was sold 10 years later. After researching and getting hands on experience, he made the decision to enter the water damage restoration industry. Mike’s only regret is that his third daughter, and youngest child did not find the water damage shop as “cool” to take friends to as the donut shop! Kent graduated from the University of Kansas and his first job was inspecting schools for asbestos contamination. 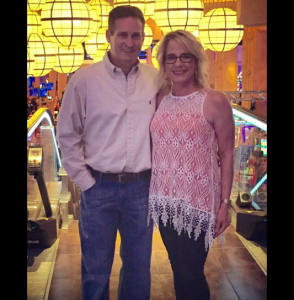 During one of his inspections, Kent met his future wife, Susie, and they are blessed to have a son and daughter. With his background as a home builder, firefighter, fire safety business owner and real estate agent, the restoration industry was a natural fit. While still building homes, Kent constructed a home across the street from Mike and they quickly developed a friendship that has included trash talk regarding their rival schools, KU and MU! Today Mike, Kent, and their team at 911 Restoration Kansas City Metro provide 24/7/365 restoration assistance across the entire Kansas City Metro area. Shortly after the first year of business in the restoration industry, their quality work and skills got the attention of Angie’s List who then bestowed them with the “Super Service Award. ” They have won this award every year since 2011! Their high level of expertise and dedication to customer service made them a perfect fit for the 911 Restoration family. Now, Mike and Kent are the proud owners of the 911 Restoration Kansas City Metro branch office where they provide people with all the help they need through any form of water damage or other disaster. If you need experts to take your worries away and make your house like new again, then contact Mike and Kent with their teams of experts at 911 Restoration Kansas City Metro today! At 911 Restoration of Kansas City Metro the entire staff knows the costs, both financially and emotionally, caused by water damage, sewage contamination, and indoor mold growth. With that in mind, the team has collaborated to provide some tips for property disaster prevention and actions to avoid if there is already a problem. Both Mike and Kent strongly encourage homeowners to be sure that your insurance policy covers drain backups and sump pump failure. The additional cost of this policy endorsement is often less than $100 per year, while a typical flooded basement restoration can easily cost $5,000! Mike and Kent have many stories from their time in the field while working in the restoration industry. One of their favorites was when they arrived at a mansion that had gone into foreclosure. Both owners love challenges, and this one was quite an interesting set of circumstances that they found ways to solve and manage efficiently. They bring this same ability to make good, and sometimes creative decisions to every project. 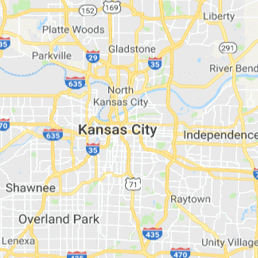 Contact Mike Kent and their team of experts with 911 Restoration of Kansas City Metro today and be assured that they can handle any situation!